The Dallas Cowboys offense has taken a turn for the better over the last five weeks. Five weeks ago, as we’ve discussed a ton, the Cowboys made the move to bring Amari Cooper from the Oakland Raiders for their first round pick. The results have been very encouraging for an offense that is hoping to be a difference maker in the playoffs. They also promoted Marc Colombo to take over for then Offensives Line coach Paul Alexander. Both moves seem to have had positive impacts on the offense as a whole, but most importantly Dak Prescott. One area where the Cowboys offense can improve with Dak as their quarterback is in their use of play action. As you can see from NFL Matchup’s tweet, Dak Prescott is one of the best quarterbacks in the NFL when throwing out of play action. The problem is the Cowboys don’t use it nearly enough. Dak Prescott only uses play action on 24% of his drop backs this season, which ranks him 15th in the NFL per Pro Football Focus. For reference, the Los Angeles Rams use play action on 37.4% of Jared Goff’s drop backs, which leads the league. Pat Mahomes uses play action 29.5% of the time. When the Cowboys use Dak Prescott in play action, his yards per attempt is 9.2, which is 13th in the NFL. When Prescott doesn’t use play action, his yards per attempt is only 6.7, which ranks 26th in the league. That’s a 2.5 yard per attempt difference. Prescott’s passer rating, like a lot of the NFL goes up in play action, but Prescott’s goes up nearly 23 points from 89.9 to 112.7. 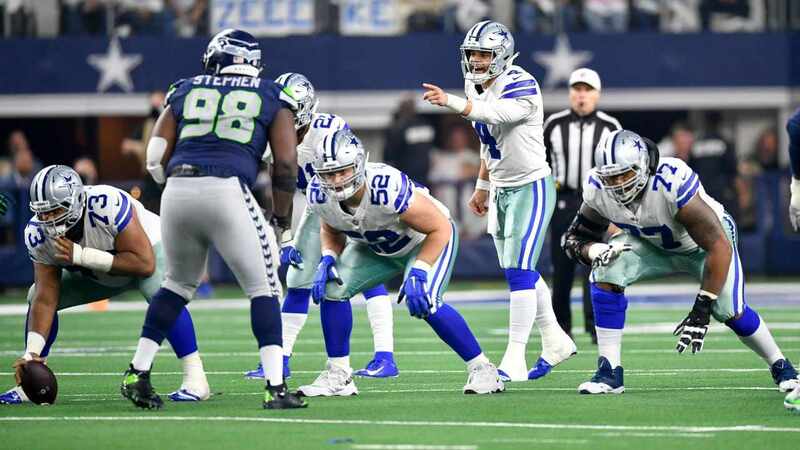 Like we saw on Thursday against the Saints, and have seen now for almost three years, Prescott is excellent in play action. His work on the Ezekiel Elliott screen pass that went for a touchdown last week is exhibit A to his deft ability to use play action. With as good as Dak’s been on play fakes, it’s a shame that Offensive Coordinator Scott Linehan doesn’t work it into the offense more. Every team that the Cowboys face know that priority one for this offense is establishing the run. They know that Linehan’s goal is to get the ground game going, play keep away from the opposing offense, and play good defense. 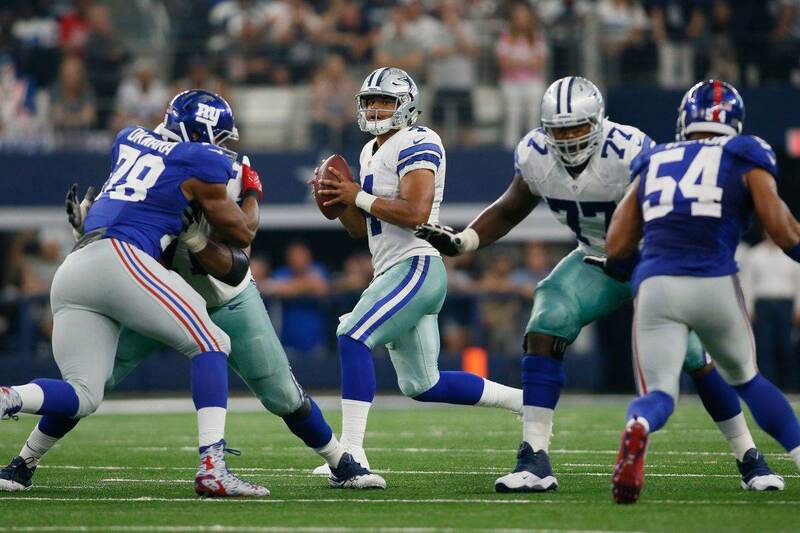 The problem is the offensive line has had issues protecting Prescott this season. They could use quick play fakes or even feints to get opposing defenses thinking about the run when the Cowboys want to pass. Even if it makes the defensive line hesitate for a split second, it’s an advantage for Dak Prescott and the offense. The offensive line has hadn’t some issues protecting Dak as he’s the most sacked quarterback in the league and is in the top five of most pressured passers. Scott Linehan needs to scheme to keep opposing defenses off-balance with quicker passes, but can also use play action to create some hesitation by the pass rush. 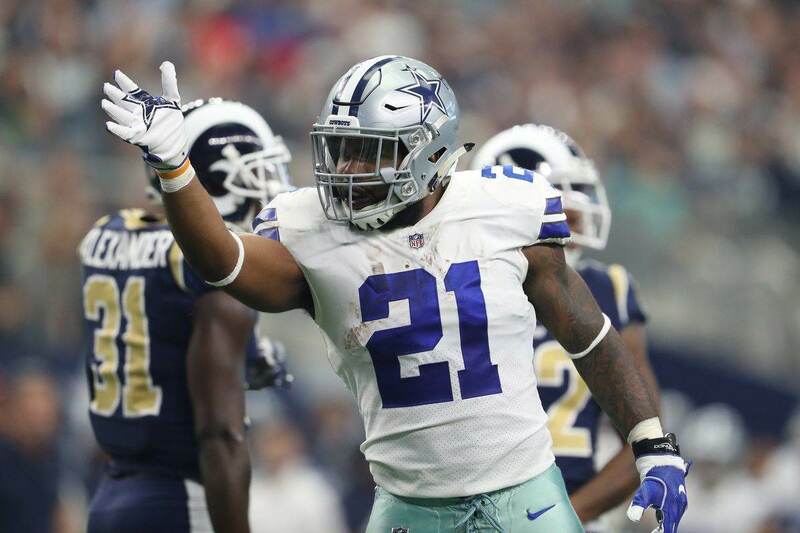 Teams don’t want Ezekiel Elliott beating them, so if the Cowboys decide to increase their use of play action, it will have a positive effect. Prescott’s shown in his young career that it’s a strength of his. Now Linehan and the Cowboys need to figure out a way to get more out of it.